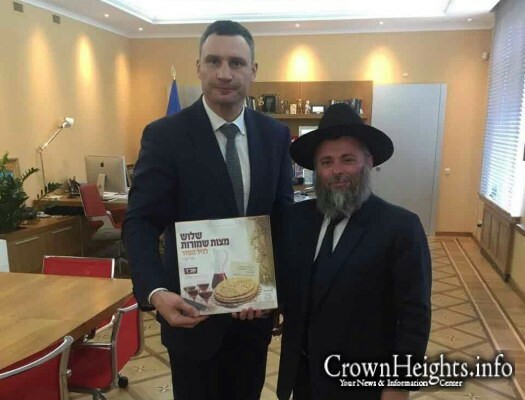 Yesterday, Monday, the Chief Rabbi and Chabad Shliach to Kiev, Ukraine’s Capital, Rabbi Yonathan B. Markovitch, visited the city’s mayor, Mr. Vitaly Kalitzky, at his office. In honor of Yud Alef Nissan, we present a collection of rare color photographs from a Farbrengen in the 1960s. 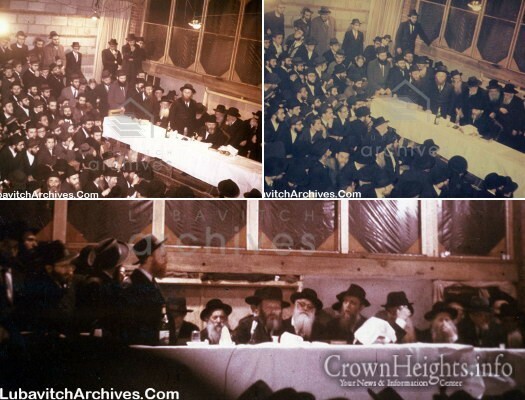 Obtained by Lubavitch Archives from two collections, one on the East Coast and the other on the West Coast of the United States, they are of the few known color photos from the Rebbe from those years. A brand new Sefer Torah was completed by the Winter family in memory of their dear mother, Chana OBM, who passed away at very young age. The new Torah will make its home in the Besht Shul. A protester holds a sign that reads: "President! 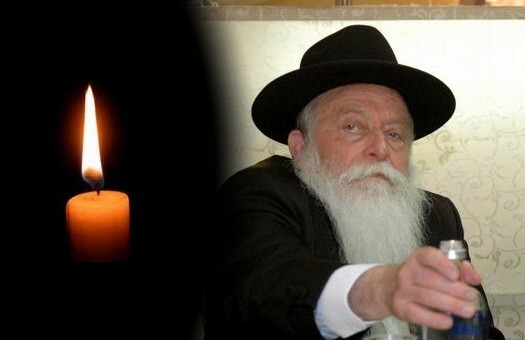 Protect Perm from Chabad!" 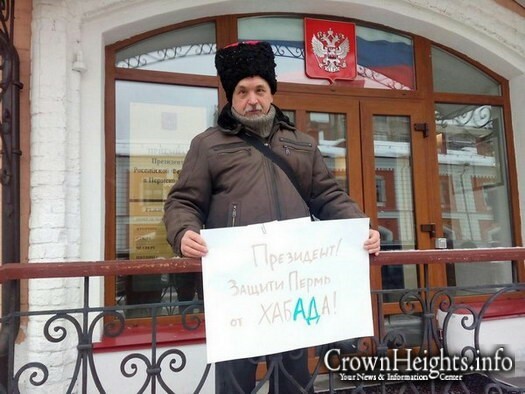 Anti-Semitic demonstrators protesting the allocation of land to the Jewish community in the Russian city of Perm demanded the outlawing of the Chabad movement. 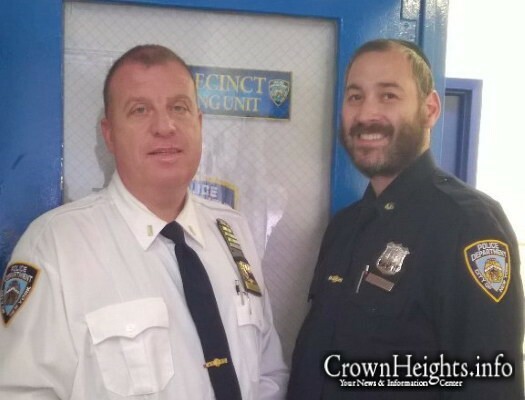 Lubavitcher NYPD officer Fishel Litzman, who made headlines when he fought the NYPD in court to be able to keep his beard in the force, was honored by the Police Department earlier this week for intervening and stopping criminal in the act of robbing a person with special needs. Today, Yud Alef Nisaan 5776, marks the 114th birthday of the Lubavitcher Rebbe. 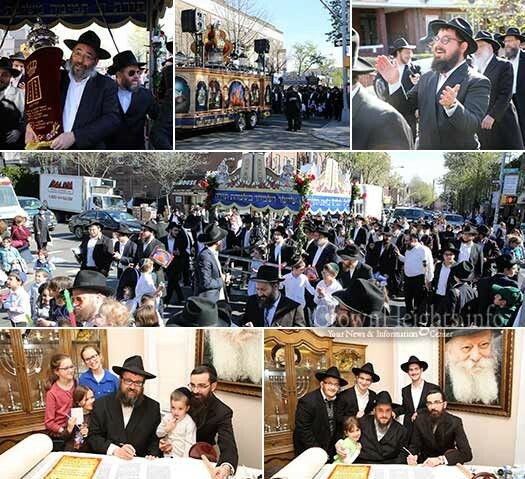 As every year, Chassidim gave the Rebbe a birthday present: 66 ‘Mitzvah Tanks’ rolling through New York City, marking 66 years of The Rebbe’s Nesius. File Photo: Florida Lt. Gov. Carlos Lopez-Cantera with Rabbi Raphael Tennenhaus of Chabad of South Broward. 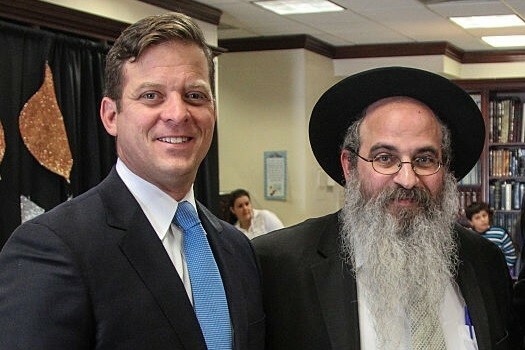 During a recent visit to Israel, Florida Lieutenant Governor Carlos Lopez-Cantera, long ambiguous about his religion, celebrated his Bar Mitzvah at the age of 42. The celebration took place at the Western Wall with a Chabad Rabbi. 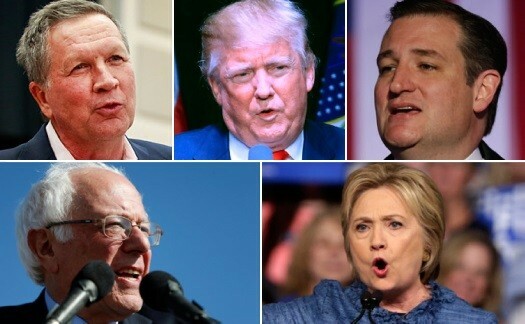 Usually, primary races are pretty much over by the time the New York primary comes around. This time, it’s different, and that’s why New York has seen an unusual amount of campaigning this election year. 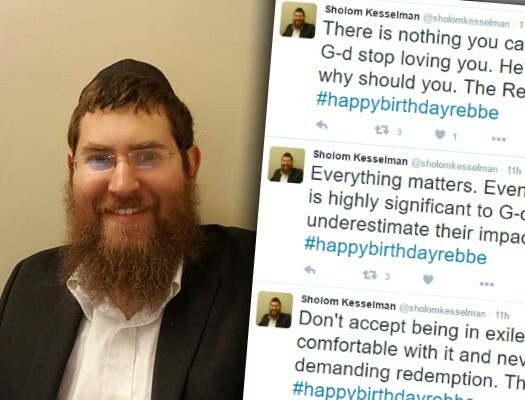 As part of the #HappyBirthdayRebbe campaign, Los Angeles writer and educator Rabbi Sholom Kesselman tweeted ten things the Rebbe taught him. Video: Why Does Pesach Have Three Names? 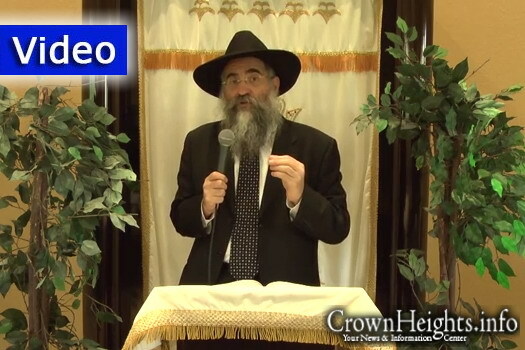 Rabbi Yitzchok Minkowicz, director of Chabad Lubavitch of Southwest Florida, delivers his insights on the holiday of Passover. Rabbi Minkowicz answers the question: Why does Passover have three names: Chag Hamatzos, Zman Cheirusainu, Chag HaPesach? 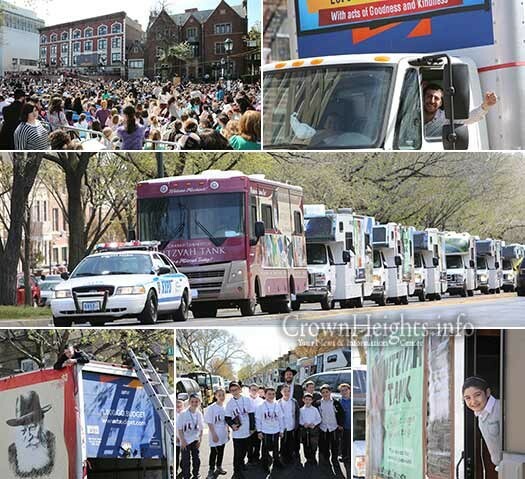 Four Mitzvah Tanks paraded through the streets of Montreal last week in honor of the Rebbe’s 114th birthday. 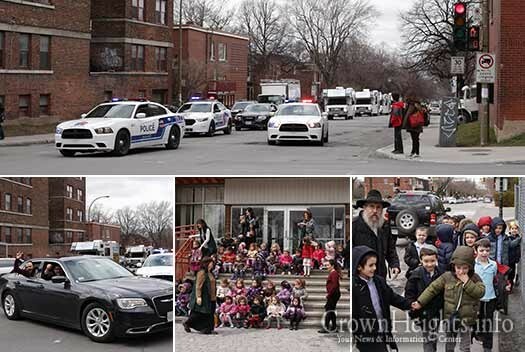 A team effort of locals, Bochurim and Anash together created the first Yud Alef Nissan Tank Parade in Montreal.